What are the sights of Kimry city? The city of Kimry remains unknown to many tourists, despite the fact that it has a large number of historical monuments of architecture. Anyone who has ever visited this place is trying to return again, to feed on the energy of past times. Not everyone likes to enjoy the beauty of unusual architecture for the eyes, but Kimry is an exception. Of course, going to the expanses of the global network, you can see that the sights are not so famous and there are not so many of them, but their magnificence does not leave anyone indifferent. What could be better than a leisurely walk to places of worship? As a rule, tourists leave their cars for the whole day near the railway station Savyolovo. For convenience, you can purchase a map of the city and not forget about the camera, because you can always miss something meaningful. 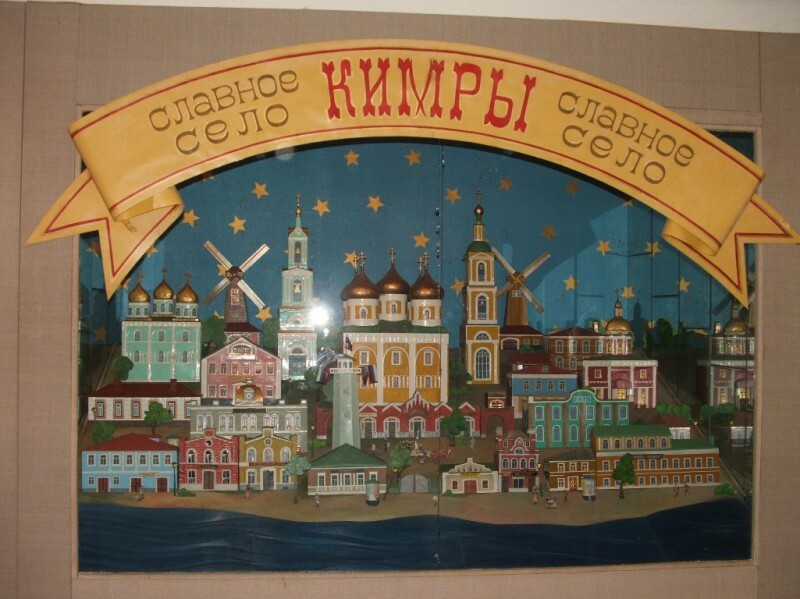 Kimry — a city located on the banks of the Volga, which is no longer as clean as in the old days. Of course, it continues to spill, but not much, but this has its own charm. Not every day manages to enjoy modernity, which manifests itself in the form of rounding on the windows, sloping huts, tiny shops and unpretentious, but at the same time appealing architectural monuments. The Tver region has a long history and over the centuries, various historical events took place in it. They just influenced the formation of the image. Each resident in his stories does not forget to pay attention to the natural attractions — the Volga. A long west was laid above the river leading to the Upper Volga region, and a shoe factory was built, the products of which remain in demand even today. Once in the city, it is not so easy to get to the first sight, because the stormy vegetation hides it well from prying eyes. But the inquisitive gaze of a tourist cannot be deceived, and therefore in a few minutes you can look at the monument to the iconic TU-124 plane located at the intersection of Kommunisticheskaya and Tupoleva streets. If the journey is a little exhausted, then you can always relax under the shadow of an airplane wing. This place is considered quite popular with local youth, and therefore you can always hear unknown facts. Frankly speaking, this part of Kimry leaves many people indifferent, since all the most interesting will be expected on the opposite bank of the river. You can always slowly walk to another attraction — Kimrsky Bridge. It is worth noting that local authorities are trying to work on the quality of the coastline, even if it does not always work. Every tourist can look at the opening panorama. Taking a camera with you, you can take pictures and move towards the bridge. The coolness of the river brings a certain charm to this walk, but all the tourists relate to the local scenery responsively. On the shore you can see the remains of past gatherings and picnics. Of course, this is somewhat repulsive, but it just does not work out to keep track of everyone. Kimry — an ordinary city, whose population varies from 48,000 to 50,000 people. 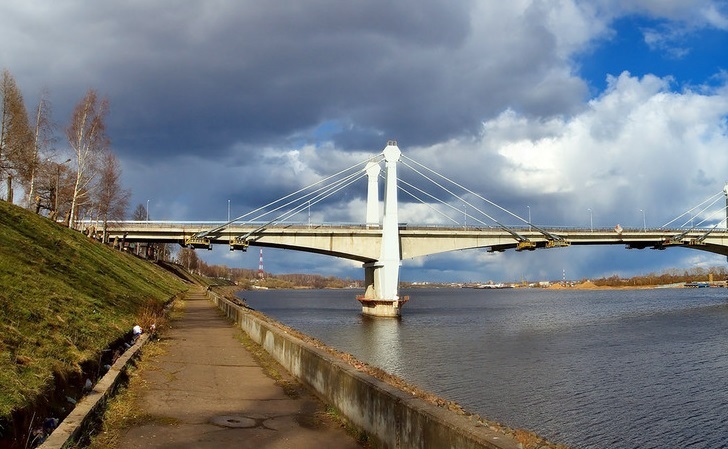 The Tver region has never had problems with water resources, since a large navigable river, the Volga, flows through its territory. The city was first mentioned in 1546 (the letter of Ivan the Terrible). 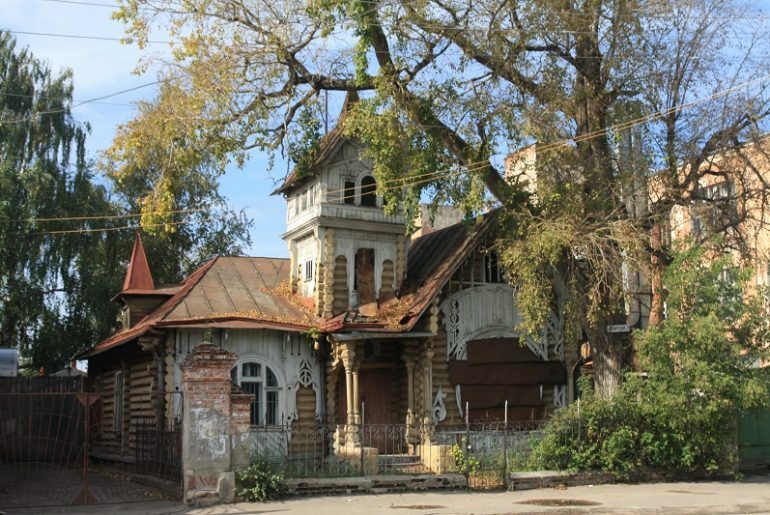 The year 1847 was marked by the ransom of the inhabitants of the settlement from Countess Samoilova, who decided to exchange the freedom of people for land. For two years, there was an active construction of a rail link between Moscow and Savelovo. This direction continues to be used by local residents. The special appearance of the station adds a special charm, which has remained virtually untouched. Until the beginning of the 20th century, the whole region was provided with shoe products from Kimry. 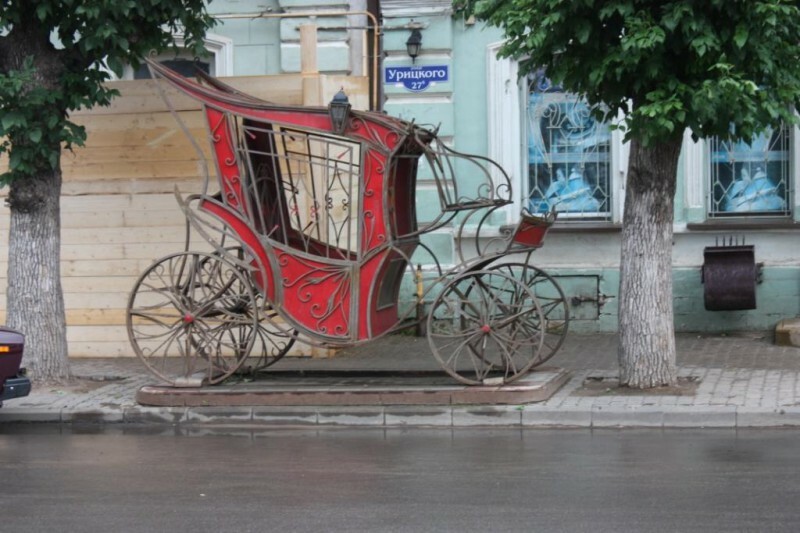 In the last century, this city was considered almost the shoe center of all of Russia. The shoe factory was built in 1907, and the production of quality products continued for many years. The trains could come to the city for repairs, since at first a small workshop was opened to repair narrow-gauge trains, and a machine-tool factory was built there. Soon the designers decided to retrain him, the production of hydroplanes began. During World War II, the plant produced machines for the aviation industry. 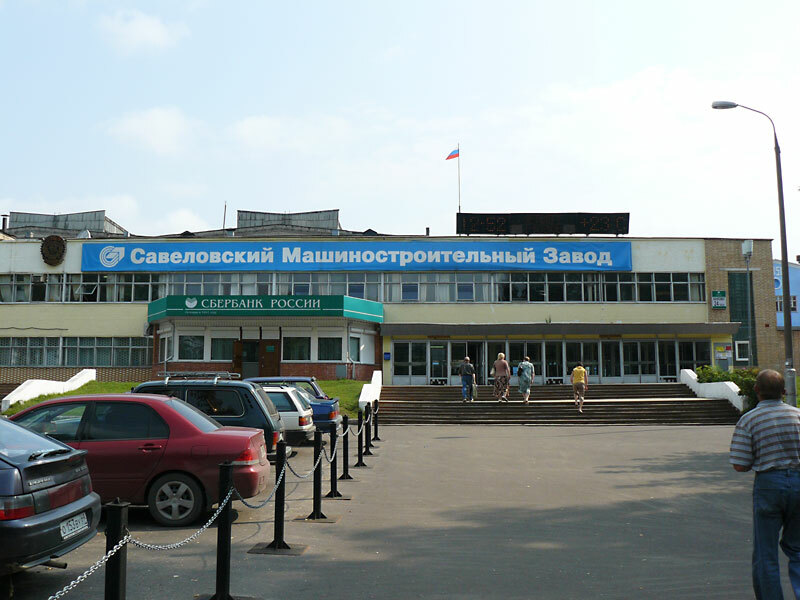 It should be noted that the Savelovsky Machine-Building Plant is still working, and this is another confirmation of the high quality of the products. Various famous personalities came to the city, though not always at will. Osip Mandelstam, a famous poet, was sent to Kimry, from where he went to the camp, and Mikhail Bakhtin wrote his famous work about Francois Rabelais. The city seems very versatile, and everyone can see in it something of their own, close to the heart. The Kimry bridge was built in 1978, and its full length is 904, 9 m. It is impossible to imagine Kimry’s life without him, since he allowed to significantly increase mobility, simplifying movement. From the bridge you can look at the opening panorama, but there will always be someone who remembers the old ferry crossing, which has not been preserved. According to local residents, this part of the route is considered the most popular. Many tourists come here, look at the classic forms of modernity. The houses in Kimry are really beautiful, but the condition of many is approaching in disrepair. For a picky tourist, such an appearance may seem unsightly, but this is a certain charm. You can see the preserved parts of the merchant building, which date from the end of the 19th beginning of the 20th century. The city is famous for its two museums, but the House of Crafts with a museum of peasant life and a collection of dolls deserves the most attention. The museum is located in an old manor of the 19th century, besides a large number of exhibits, it attracts many with its distinctive architectural forms. Every visitor can see the exhibits, which can also be purchased. Thematic exhibitions open at different seasons, where it is possible to see the works of recognized creators, designers and artists. In the Local History Museum you can see the characteristic exhibits of past eras. In the town there are several small, but quite beautiful churches, each must be visited in order to feel the color. Spaso-Preobrazhensky Cathedral is located deep in the streets, and therefore sometimes it is necessary to specify the exact location of the locals. The construction was built in just two years (1900-1902) above the spring with healing water. So, at least, says the local clergy. Architect Rybinsky embodied his project in the original Russian style. The Savior Transfiguration Cathedral is a three-altar, but there were ideas regarding stone columns that could not be built. Since 1917, the church began another stage of development: it was retrained in the club, and then completely — the granary. In 1947, all believers were able to get back their spiritual shrine. The Ascension Temple is located on the other side of the river Kimrki. The church is really old and dilapidated, and therefore it was decided to conduct a large-scale reconstruction. According to reviews of local residents, one can understand how much they love and respect their spiritual centers. The temple was built in the early 19th century (1813). After 16 years, built a four-tiered bell tower with ten bells. The building has always been a large number of historically valuable things. After the outbreak of World War II, many valuables were lost. Summing up a little, we can say that this small town deserves attention. It preserves the appearance of old Russia, which can be penetrated only after arriving here and feeling the full flavor of it with full breastfeeding.